Contact us for any specific orders. Upload your files for us to check if they are good for print. High quality prints on 17mil Artist Canvas printed and mounted on light and durable stretcher bars. These prints can be used as gifts or business and photography applications. Available in different standard sizes. The canvas print is gallery wrapped for all sizes. We will ship no more than one per box to avoid damage during shipping. 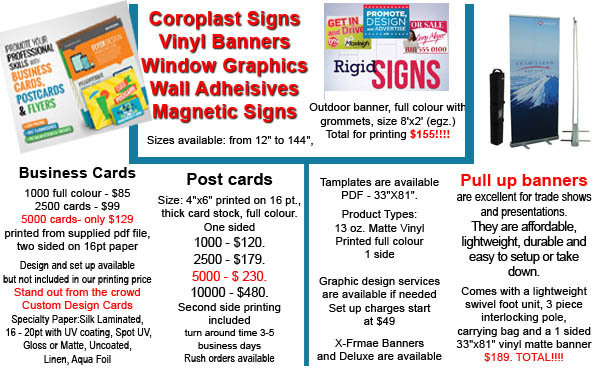 printed on heavy-duty material and ideally suited for car door signage. These glossy magnets can also serve as temporary signage for construction sites or other changing work environments and offer long lasting outdoor use. Our minimum charge for file checking - $25. Art of Design was established in 1995. Our small but powerful team of professional graphic and web designers provides excellent service to large companies as well as to small, or starting up businesses. When you are our client, we are only charging you for our time and creative strategies. Our overhead is low, and we pass it on to you. Save up to 20% over our regular postcards prices with our value postcards. Our value postcards are printed on 10pt C2S card stock and include AQ coating. 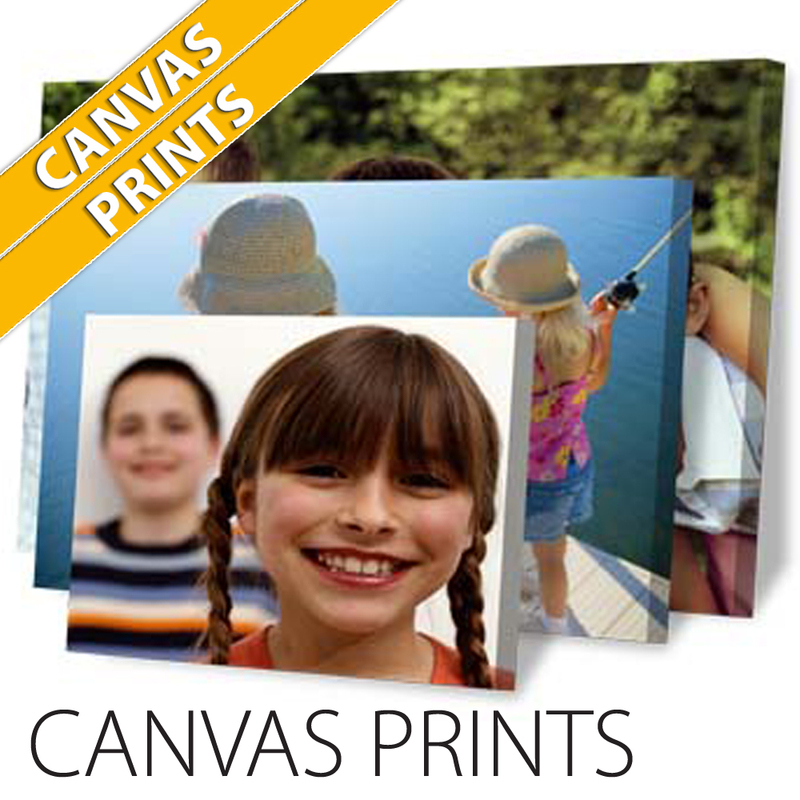 They have the same great print quality and finish as you have come to expect from all our products. Value postcards are great for Canada post and direct mailing. Finished size available: 3.5"x 2"
Turnaround: 2-5 Business Days or Next Day Service at extra cost (5pm pick-up or shipping) is also available. Rounded corners on business cards will take an extra business day for both turnaround service. 2) Files must be submitted head to head to ensure proper backing. 3) If all possible, try to avoid borders. If the border is too close to the cutline, the print may result to be cut off-center slightly. 4) File must consist of 1/8" bleed and all important text must be within the safe margin.